I n 1892, the Reverend I.G. Hendley and the Reverend John Fitzgerald, along with their wives and a handful of faithful and dedicated members, left the mother church of Bethel Missionary Baptist Church to form Tabernacle Missionary Baptist Church (TMBC). The first site of Tabernacle was on the corner of Pensacola and Macomb Streets which is the site of the presnt day Tallahassee-Leon County Civic Center. Legal documents, namely abstracts, submitted by Deacon Raymond Bellamy, indicated that the land was actually deeded to the Church on November 25, 1892. After the ministry of the Reverend Kilpatrick, the following ministers served as pastors of the Tabernacle Missionary Baptist Church: Reverend R. M. Brown, Reverend J.C. Collier, Reverend W. M. Ming, Reverend P. L. Mitchell, Reverend W. W. Woods, Reverend C. Wood, and the current pastor, Reverend Stanley L. Walker. In 1939 a few members unhappy with the direction of Tabernacle broke away from the mother church and organized Gethsemane Missionary Baptist Church. Tabernacle continued to grow. Its Sunday School as well as many auxiliaries witnessed unparallel growth and by 1940 Tabernacle began to hold worship services each 1st and 3rd Sunday. Tabernacle participated in the 1960’s Civil Rights Movement in Tallahassee by serving as a meeting place for college students who were involved in the movement protesting human and civil injustices for African Americans. In 1975, under the leadership of Reverend C.W. Wood, Tabernacle relocated to its present home at 615 Tuskegee Street. In 1980 Reverend Stanley L. Walker became Tabernacle’s first full-time pastor. He is a native of Greenville, S.C. and continues to serve as pastor. Reverend Walker’s pastorate marked the beginning of services being held every Sunday. In 1989, Tabernacle began holding two services each Sunday at 8:00 am and 11:00 am. 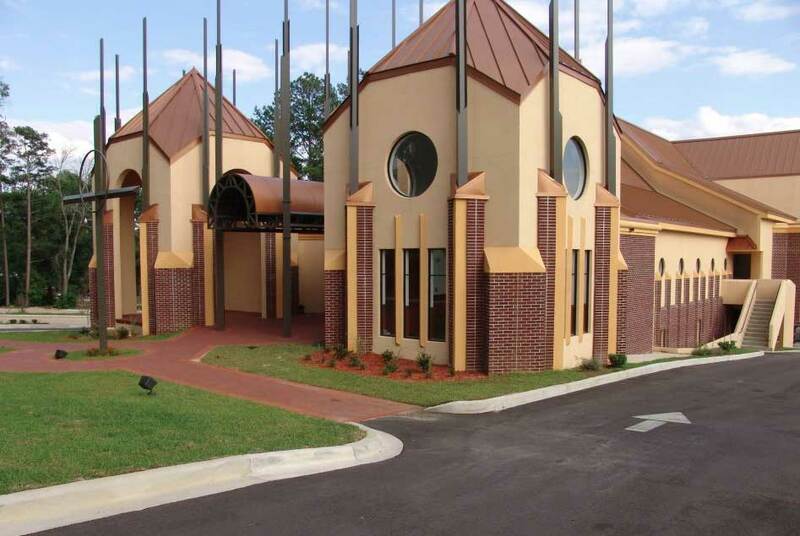 Due to steadily increasing attendance, in 1998, a decision was made to build a new church. In 1999 Tabernacle began holding three Worship services each Sunday at 7:30, 9:30 and 11:00 am. Through the years, the church has experienced continual growth in its membership and ministry’s with more than thirty (30) ministries to date. “Journey Through the Bible” hosted by the late Reverend Reginald Rolle, was a catalyst for the church to jump start it’s evening Bible Study program, which now reaches and teaches all age levels, whereas the Collegiate Ministry, which included the soul-winning “Jam for Jesus” aimed at bringing college students and young adults closer to Christ. The Prison Ministry, Outreach Ministry, Women’s Ministry, Brotherhood, Couples Ministry, Youth Department, Dance Minstry, Ushers Ministry and many others were formed on the foundation of the Word of God and continue to provide spiritual, emotional and biblical support to it’s members and the community it serves. As a result of the phenomenal growth of Tabernacle a new ediface was consructed and on April 16, 2006, Easter Sunday, the first official worship services were held in the new sanctuary. The official Dedicatory Service was held October 15, 2006. Tabernacle Missionary Baptist Church is indeed blessed and continues to move forward, witnessing, teaching and spreading the good news of the gospel of our Lord and Savior Jesus Christ.